Coupons valid until April 25, 2019. May redeem multiple coupons per person. Ticket provides access to all indoor games. Valid for ages 2 to 10 years. Kids must be accompanied by adults. Kids aged 6 months to 2 years enter free of charge. Socks must be worn. No food allowed. Coupons must be printed and exchanged for tickets at the entrance. Valid on weekends & weekdays. Open Monday to Friday from 3 PM till 8 PM, Saturday & Sunday from 12 PM till 8 PM. No carry over. VAT included in price. Standard terms & conditions apply. Our kids are always in need for a place to have fun, unleash their energy and enjoy their free days! 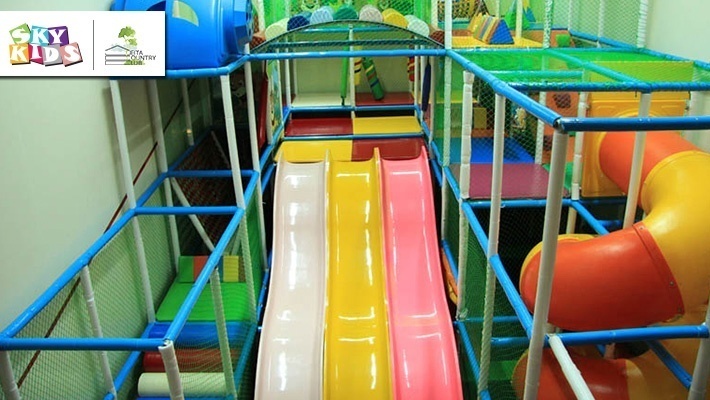 Benefit from 50% off Two Playground Entrance Tickets to Skykids at Jeita Country Club, only $5.33 instead of $10.66. Enjoy some amazing moments with your kids! 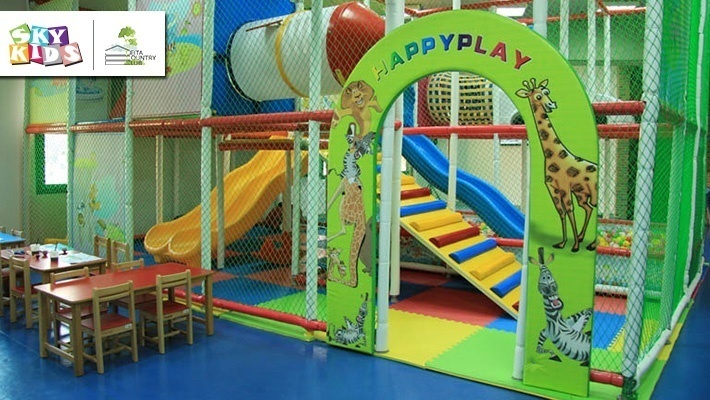 Skykids is a state-of-the-art, indoor play area for kids built inside Jeita Country Club. 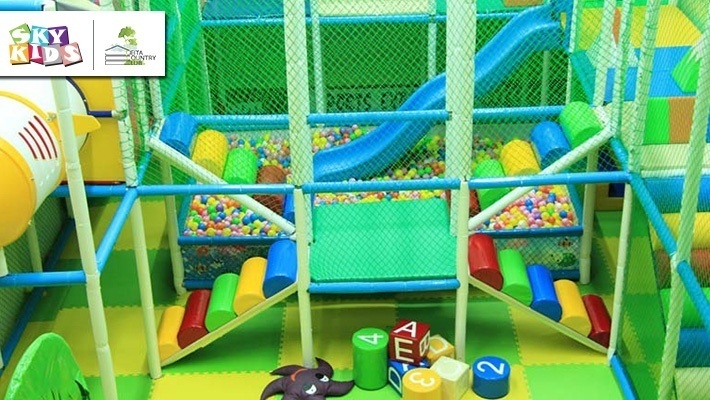 With utmost safety and security levels, it's a place your kids can play risk free. 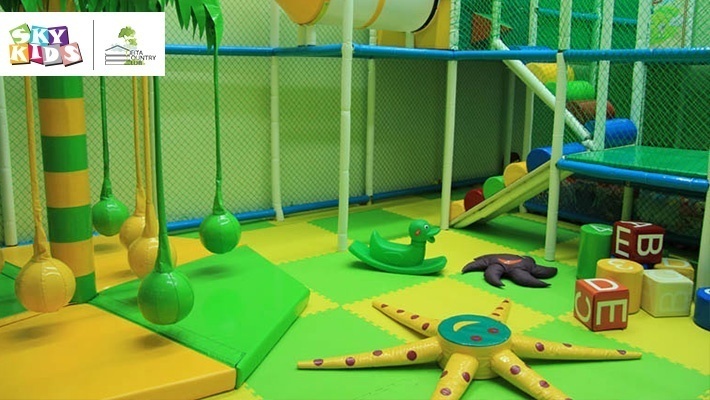 Their age specific jungle gyms are appropriate for children aged 6 months to 10 years. 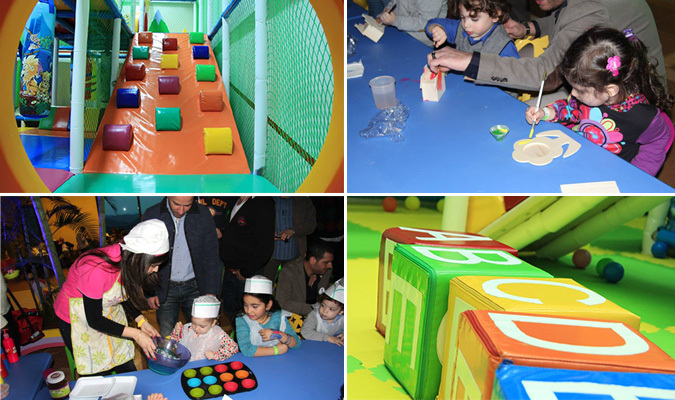 Skykids includes 3 different play areas, an arts-and-crafts corner, and a birthday animation and disco area. Ramps, slides, ball pools, seesaws, trampolines, are just few of the many attractions your kids can enjoy. Skykids organize, animate, and decorate birthday parties for kids of all ages, and organize several seasonal events for all to enjoy.